We are trying to get the blog updated to include Moonfixer (Book 2) and the upcoming Charming Gardeners (Book 3). I hate to say type it, but it may take some time given my tendency to procrastinate. I’ve been meaning to do this ever since Moonfixer was released (way back in December of last year) but kept putting it off and putting it off and putting it off and…well, you get the picture. WordPress is usually very easy to work with but there are days when it makes me want to throw my computer against the wall. On those days, I’ve found the safest response from me is to get off the site and try another day. 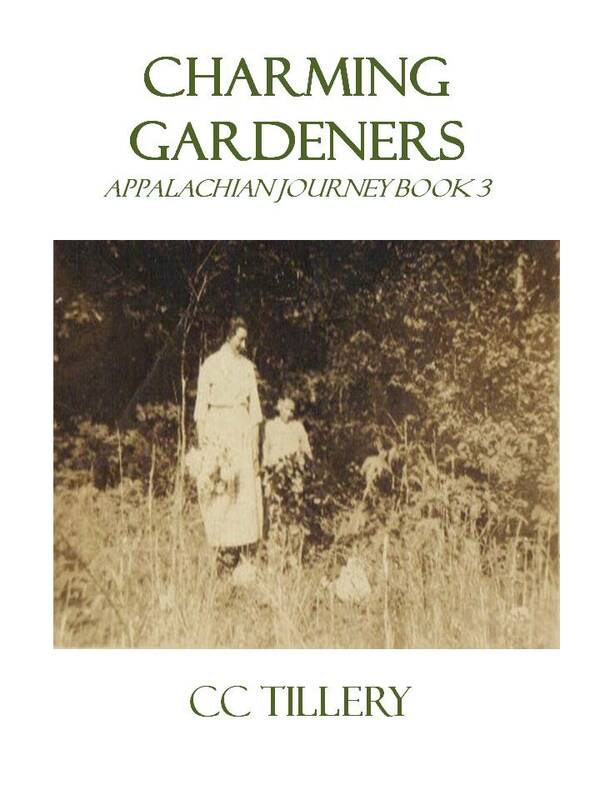 Okay, first things first, the blog name has changed to Appalachian Journey (the series title) but the URL hasn’t. It’s still https://whistlingwoman.wordpress.com/. But there’s no guarantee it will stay that way…not if I can figure out how to change it to Appalachian Journey. Second, Christy and I both want to thank our readers for the amazing response we’ve received for Moonfixer. We love hearing what you think whether it’s by email (cctillery@yahoo.com), here on the blog (https://whistlingwoman.wordpress.com/) , through the wonderful reviews some of you have left on Amazon, or on our Author Central page (amazon.com/author/whistlingwoman). However you decide to get in touch with us, we love hearing from every one of you and we’re very thankful we have such wonderful readers. Third, we are thrilled that we’ve heard from, well, I won’t say long lost family members because we’ve never actually met most of you but family members who’ve found our books and either called or e-mailed and introduced themselves to us. 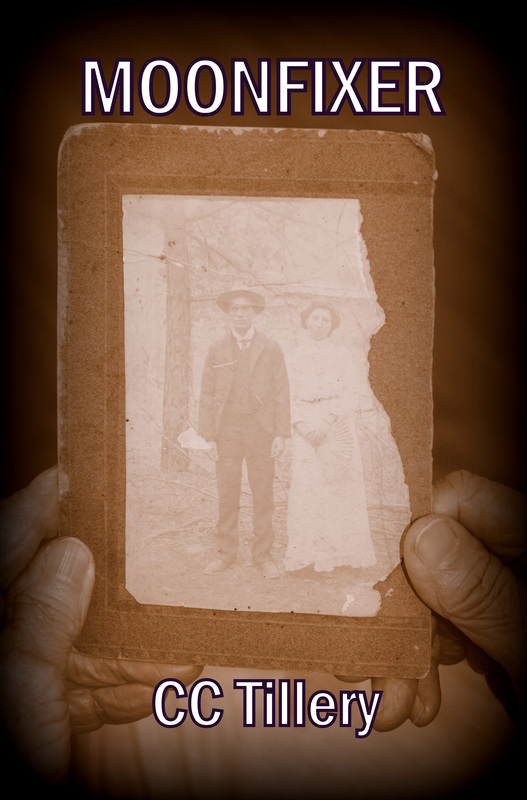 Maybe newly discovered family members? Whatever, it’s been such fun to talk or exchange emails (and in some cases, family pictures!) with every single one of you. We’ve now heard from a member of every branch of the Daniels family–Roy, Loney, and Thee–and also from our cousin from the Henderson side of the family, Jackie Burgin Painter, whose books played such a critical part in our research. It’s sort of a new-age family reunion and we’ve loved every minute of it! Finally, we are working on the third book in the series, Charming Gardeners. The title comes from a Marcel Proust quote: Let us be grateful to the people who make us happy; they are the charming gardeners who make our and also because the quote seemed to fit her so perfectly. And now I’ve procrastinated working on the blog enough. If I keep this up it’s never going to get done so time to get back to it but first I’ll leave you with the tentative cover of Charming Gardeners. The picture we decided to use is of Aunt Bessie and our dad gathering herbs and wildflowers (Daddy thinks the dog standing almost hidden over to the right was named Fritz). To all our readers, thank you for being our personal charming gardeners and making our souls blossom! I can hardly wait for Charming Gardeners to come out. You are such great writers and the subject matter is of great interest to me. Thanks again for sharing. Thanks so much, wakingofthebear and thanks also for commenting! We hope to have Charming Gardeners out later this year as Aunt Bessie would say, “good Lord willin’ and the creek don’t rise.” We appreciate readers like you so much! I can’t say enough about Moonfixer! Absolutely loved the book as well as Whistling Woman. Looking forward to Charming Gardeners. I am so drawn into the story ~ it is as if I am right there. Thank you for writing the story of your Great-Aunt & Uncles life. God Bless your talent! Thank you so much, vmhatton! I can’t tell you how much it means to Christy and I when our readers leave comments like yours. You are right, we are very blessed and give thanks for readers like you every day. And we hope you enjoy Charming Gardeners when it comes out. God bless you! I loved loved loved Moonfixer! I actually just did a post about it on my blog. It was wonderful, and great for a mountain girl when she’s feeling homesick. Thank you. Hi, uncommonprincess! I posted a comment on your blog but just wanted to say thanks again for the lovely post about Moonfixer! We love reading how our books affect our readers and your post set off a frenzy of happy dancing! Thank you so much for taking the time to read my post. I know how close that book must be to your heart and I was so glad to see you felt I had done your book justice. I felt like doing a happy dance of my own! I just finished Moonfixer and went straight to Amazon to buy Charming Gardeners not realizing that it was not out yet. So I will anxiously wait and hope it’s out soon. I have laughed and cried with the both books in this series. I also grew up in those mountains, so that makes it extra special. You have done a wonderful job in these writings, keep up the good work!! Hi, Debbie! Thanks so much for your lovely comment. The title of the third book has changed (we really need to go back and edit Moonfixer!). The title of the third book is now “Beloved Woman” and the e-book should be out later this week or early next week. The print version should follow soon after. Fingers crossed! We will announce on here when it’s available and on our Appalachian Journey Facebook page. Stay tuned! And thanks again for your inspiring comment. We hope you love Beloved Woman, too! CTHodges, Thank you so much for reply and for clearing up for me the title of the next book. I had seen “Beloved Woman” but didnt make the connection. I cant wait to read it! !